Here’s some good news for fans of RSS and users of the popular Reeder app: the developer of Reeder has plans in place to keep the app running smoothly when Google shuts down Google Reader in a few months. The iPhone version of Reeder will get Feedbin support soon, while the iPad and OS X version will be updated in the coming months. I’ve been using Reeder as my RSS app on the iPad for a long while now and it’s a superb, fast app for keeping up with all the feeds I follow. Since hearing the news about the impending demise of Google Reader I’ve been using Reeder on my Mac a lot more often too. If the Reeder iPad and Mac apps are updated before July 1 and still support most or all their current key features I will be a very happy camper. I’m sure we have lots of RSS users here. 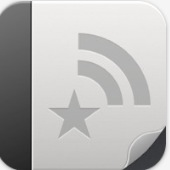 What’s your favorite RSS app for the iPad and what are your plans for when Google Reader is shutdown? but it looks like feedbin costs money, if so, that is not a solution for me. I was having a hard time bringing up informattion on certain webcites and videos i down loaded this app for 5$ and it is great very quick . Like Kevin, if it costs, it is no longer a solution for me. It is not that I am not willing to pay for a service but I made the choice a while back to pay for Reeder based on a free back-end i.e. a one-off payment. It will be disappointing if they do move to a paid back-end as this is not what I paid my app cost for. It appears that Feedbin will be only one of more supported back ends. True. Their iPhone app has now been updated with a number of good options to replace the Google Reader backend, but their Mac and iPad apps haven’t yet. Soon hopefully.